One of the most important steps you can ever take to improve your overall health is to educate yourself about food – what builds you up and what destroys you. Many people are consciously unconscious about what they eat. They don’t really want to know how their food was made, what the ingredients are, how what they are eating affects their total well-being. One of my new clients is on the board of directors for an organization that helps people with Crohn’s and colitis. She herself has been hospitalized three times with digestive disorders. Somehow what I said or how I said it got through to her. She began to improve her nutrition, slowly but surely. Another client who is suffering from severe Crohn’s and colitis, I explained to him that coffee sets off his colon in a terrible way. I have a test kit full of vials of many different kinds of food stuffs. I can use this test kit to determine how virtually any food affects literally every organ in your body. Using kinesiology to test food sensitivities has taught me how hundreds of foods tend to affect wide numbers of people. To be a true food allergy, you would have to have an immunoglobulin reaction to a food. But many times – in fact most of the time – various foods simply aggravate, irritate, inflame or overload your body’s organs. I showed my client that coffee would set off a severe attack of colitis. He had literally been taking cancer drugs to combat the colitis but had not yet conquered his diet. 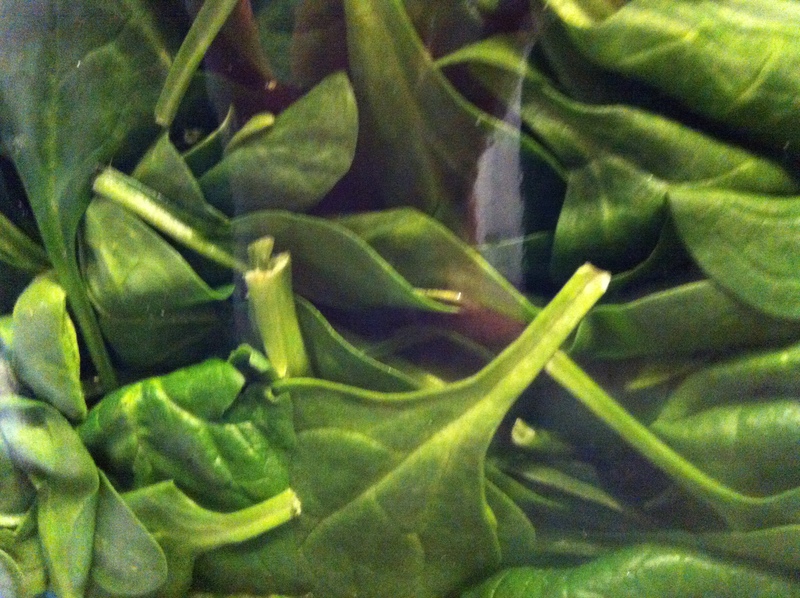 I like to have two boxes of organic spinach in my refrigerator every week. When the season is right, I have started growing my own spinach and lettuce in my organic garden. Now that the temperatures have hit their summer peak, I have switched out the lettuce and spinach for strawberry plants. Spinach is the healthiest food on the planet. I remember when I was a little girl, I used to turn up my nose at the spinach my mother tried to pawn off on me. My mother tried to convince me that Popeye, the cartoon character with bulging biceps, always ate cans of spinach, but at that age I could not be swayed. I remained suspicious of spinach until I really began studying nutrition. The more you learn about what you put in your mouth, the more conscious you can be and the better choices you can make. What is healing? True healing happens when you learn about food, about which foods make you feel like a million dollars and which foods will put you in the bed for the rest of the day or the rest of the week.